In reaction to Governor Brown’s mandated 25% reductions in residential water use, environmental groups have redoubled their efforts on petitions and rallies asking Governor Brown to stop fracking. Demands were advanced that he stop bottlers from using our precious water. Efforts to work with local governments have increased. Numerous articles have instructed residents on how to re-do their yards. The problem is the facts don’t support their arguments. It’s not the water fracking uses, it’s the water it contaminates. Fracking uses 70 million gallons a year compared to the 38 BILLION used every day in California. The organizations are using .0005 of 1% of daily use as an argument. Water bottlers use around 750,000,000 gallons a year. That is .005 of 1% of daily use. What will be accomplished by shutting down five-one-thousandth of one percent of water use? Residents use 4.5 billion gallons a day or 12% of daily water use. The 25% mandated reduction saves 3% of daily use. Nut and alfalfa growers ALONE represent 35% of daily use. Why are the organizations putting all their effort into the 12% residential or .55% for fracking and bottlers when they have 35% to work with? Organizations want to work through counties and cities. After five years up to 600 wells are being fracked every year. 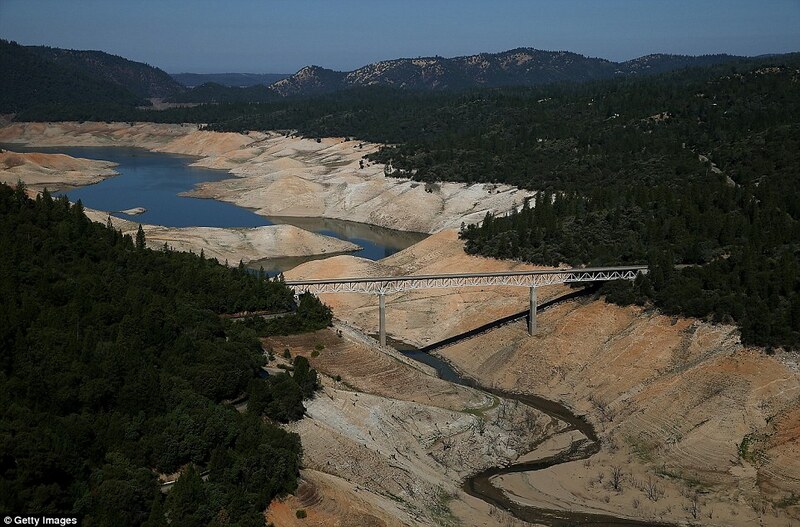 California has one year of water left. Do these groups really have the time to do it agency by agency? No mandates were brought against the nut and alfalfa growers. No mandates were brought against fracking. Few mandates were brought against golf courses. And no mandates will EVER be brought against them because Big Oil, nut and alfalfa growers and golf course owners spend hundreds of millions of dollars on political campaigns and lobbying. Do you think your petitions and rallies are going to convince Governor Brown and the legislature to kill the geese that lay the golden eggs? Would you do that if you were a politician? We need effective laws governing our water supply. Laws prohibiting contamination of our wells, aquifers, wetlands, rivers and ocean would have stopped fracking. Laws restricting water-thirsty crops and building golf courses in the desert would have prevented having only one year of water left. Laws structuring agency levels and inspection timetables. Laws requiring data before building or planting or fracking. In short, we need something on the November, 2016 ballot. It may require a Constitutional amendment overturning centuries-old water rights. It may require hastening the effective dates of existing laws. It definitely will require writing new laws. But it has to be done NOW. If you want to do something that has impact other than watching your lawn die or writing useless petitions, please contact me via email at flosamuels@msn.com. California uses 38 billion (38,000,000,000) gallons of surface and groundwater A DAY. Residents use 4.5 billion gallons (4,515,300,000 rounded) or 12% of daily water use. A 25% residential reduction would equal a billion (1,129,000,000) gallons a day saved or 3% of daily use. 85% of the burden. Why? The total use of nut growers, alfalfa growers and golf courses is 13.7 billion (13,680,000,000) gallons A DAY. Between 45 and 90% of the nuts are exported from California. Of alfalfa, 30% is exported. California has 1,140 golf courses with 130 in the desert in Palm Springs. 203% more than residential savings. Fracking uses 70 million gallons a year but has injected billions of gallons of contaminated water into aquifers. No studies have been made on the amount of well, river and water shed water that has been contaminated but it has to be substantial. More important, why haven’t the studies been made? Water bottlers use around 750,000,000 gallons a year (.005% of daily total use). In my opinion, water bottlers are a Trojan Horse used to distract voters from the real problems. drink or use on plants. a water agency before planting/building. water use and potential contamination. review of the proposed wording. grass roots movement. More important, every voter in the state knows about this issue. should have unlimited use of water. If you want to do something that has impact other than watch your lawn die or sign another useless petition, please contact me via email at flosamuels@msn.com. Since I am contacting over 150 organizations, I am not giving out my phone number at this time. Note that for the water ballot this is a temporary site until I see what is needed to set up an alternate site.